A flashlight could be your everyday carry item. It’s only possible if you buy EDC category lights. For instance, Keychain lights are extremely small and very easy to carry, while AA flashlights are brighter but a bit bigger for your pocket. 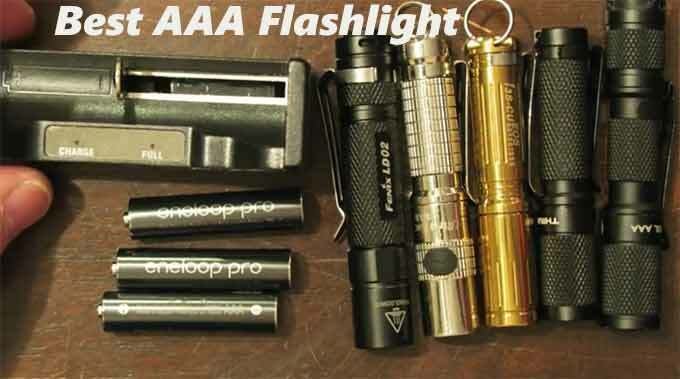 The AAA flashlights bring you the lightness of Keychain lights and the brightness of AA lights. They may not be the smallest nor the brightest, but they fall in-between. 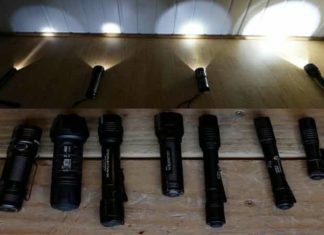 So, what should look for in the best AAA flashlight? You should check the flashlight brightness or lumens, modes, compactness, switch option, run-time, beam distance, etc features. 2 Why Buy AAA Flashlights? AAA flashlights are smaller, sturdily made, and provide bright light. There are some models that exhibit more than 100 Lumens. The greatest advantage of AAA flashlights is that their batteries are cheap and very easy to find. Irrespective of the area you are backpacking or camping, you can always find these batteries. Similar to AA batteries, there are AAA rechargeable batteries, which is a great option. Today, some people prefer using their smartphones for lighting purposes, but they are not as convenient and reliable as flashlights. This is because light offered by phones is not very bright and it drains the phone battery very quickly. In addition, most of the flashlight apps make the phone battery to warm up, making it be unbearable to hold. This is a compact AAA flashlight that is easy to operate. The Streamlight microstream features a push button tail cap switch for momentary-on or constant-on operation. Also, it has an excellent runtime and brightness for its size. The two-way clip makes it possible to keep the flashlight facing in an upward or downward position. The hard anodized body makes the 66318 flashlight be sturdy and able to withstand shock resistant. Also, it is scratch resistant and has a durable polycarbonate lens. This protects the bulb inside the light. If you want a high-quality best aaa flashlight then buy this. 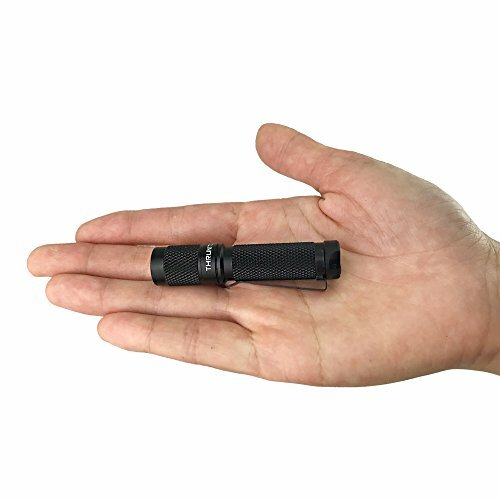 As small as this flashlight is, it produces a beam that covers up to 52 meters. This is on 28 maximum Lumens which give you enough brightness to clearly see in a dark area or path. The Streamlight 66318 light offers you a runtime of 2hrs 15 minutes. This is on just one AAA battery. In combination with the C4 LED technology, this is a nice light for your everyday activities. With the use of Cree XP-G2 (r5) LED, the Lumintop Ti flashlight is able to exhibit a maximum of 110 Lumens. Also, the user can select from three light modes which are low (5Lumen/36 hours), medium (32 Lumens/4 hours), and high modes (110 Lumens/30 Minutes). The precision micro-textured reflector forms a smooth, optimized beam. It is well built to withstand tough conditions as it is made from aircraft grade aluminum. This material is lightweight, corrosion resistant, and waterproof. 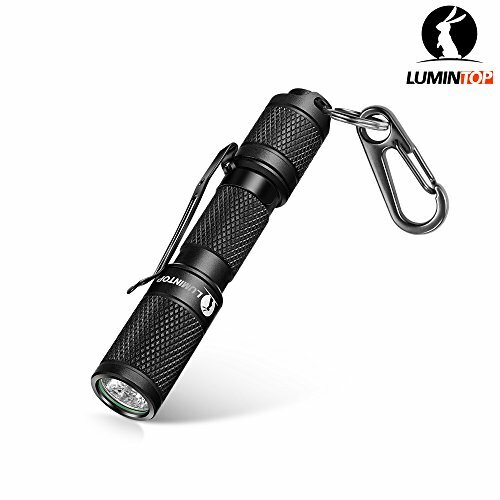 The Lumintop EDC light is powered by one AAA battery and has an option for rechargeable batteries. The patented tail switch is very easy to use and the pocket clip makes keeping the flashlight be simple. It has a diamond knurled body for easy handling. With its size and weight, you don’t have to be worried about moving around with it. Use it inside the house or in a camp as it has tail stand capability. The ThruNite Ti3 is one of the most loved EDC flashlights on the market. This is because it is very easy to move around with as you can either attach it to your pocket or belt using the two-way clip. It as well has a keychain ring. The Ti3 maybe a small flashlight but still offers very bright light. It runs on one AAA battery and has Cree XP-G2 R5 that produces an excellent cool white beam. The beam reaches over 50 meters and the flashlight has a maximum runtime of 115 hours. This is the best best aaa flashlight for edc. Get to choose from the Firefly, low, high or strobe light mode. If you have been searching for a small outdoor flashlight that you can rely on in all situations, the ThruNite Ti3 might be ideal for you. You can use it to walk your dog in the evening, for hiking, camping, or even for backpacking. Maglite is one of the most trusted brands in the market. 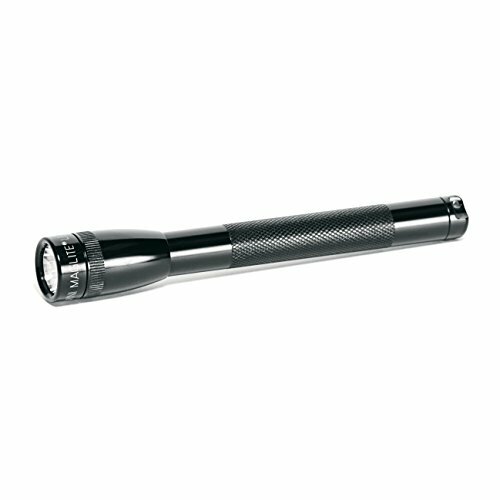 Made in the USA, the Maglite XL200 LED flashlight is built with a durable machined aluminum body with an anodized finish both inside and outside. This light is a favorite among tacticians and outdoor enthusiasts. This is because it is strong, can resist impact and it’s also waterproof. So, you can use it for hunting, in wet conditions or even for your daily home needs. Besides having outstanding features and a very bright light, the Maglite comes with 5 light modes which include high, strobe, nite lite, signal mode, and SOS mode. In addition, it has high-end rubber seals to prevent water or dust from entering the light. In its brightest mode (173 Lumens), the flashlight can cover a distance of up to 138 meters. It is powered by one AAA battery with a maximum runtime of 218 hours. The flashlight drains batteries very quickly, especially on standby mode. This is another outstanding AAA powered flashlight to acquire. It uses an indestructible LED bulb to emit a very bright beam that covers up to 22 meters. 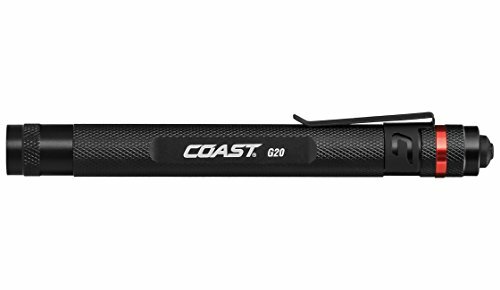 The Coast G20 Light is sturdily constructed to withstand different conditions. The flashlight is both water and impact resistant, which makes it be ideal for outdoor and general use. In addition, it has a wonderful runtime of 10 hours on two AAA batteries. After using the flashlight, you can attach it to your belt or pocket with the help of the clip. Its firm grip makes the light be easy to handle even in wet environments. Unlike some small flashlights, the inspection beam optic ensures that you get a clear and consistent beam. So, you will be in a position to see clearly without any dark spots. Coast is one of the best brands and it offers users with a lifetime warranty on all of its products. If you are looking for a perfect EDC flashlight, the Fenix E05 light is the best choice for you. This flashlight comes with a lanyard for attaching to your keychain. It is small in size but very sturdily constructed. Also, the flashlight offers the user with 3 brightness levels with the maximum mode producing 85 Lumens. The knurled body is easy to use and handle in all conditions. Easily twist the head to navigate through the different light modes. Use this flashlight on your camping, hiking, camping or fishing tour. It is built for outdoor and tactical use as it is both impact and water resistant. The flashlight is powered by one AAA battery and the beam reaches over 148 ft. The 2.6-inch body can be easily slipped into your pocket and it will not even be noticed. The SureFire titan plus is one of the best AAA flashlight. 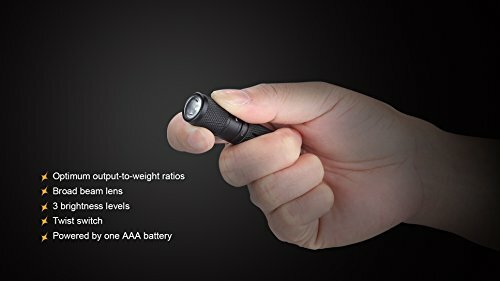 This flashlight is very easy to operate by simply twisting the head counterclockwise and clockwise repeatedly to turn on/off the light and to cycle through light modes. It has 3 light modes: low 15 Lumens, mid 75 Lumens, and high 300 Lumens. Additionally, the flashlight is powered by either one AAA alkaline battery or one AAA NiMH rechargeable battery. It has a pocket clip for easy carry of the light. Despite being small in size, the SureFire Titan plus is a very powerful light it comes with an indestructible LED bulb that produces an excellent beam. The beam is smooth and clear, thanks to the proprietary faceted reflector. 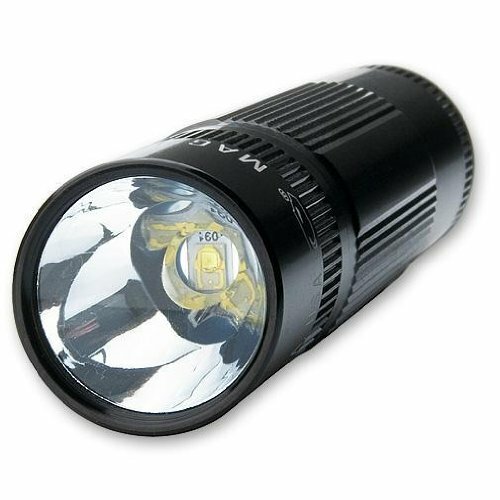 Other features of this LED flashlight include durable construction with nickel and brass body, ultra-compact design, and weather resistant nature. With this flashlight, you will always be ready even if you are caught in the dark and it starts raining. Use it for hunting, hiking, camping, or general home use. 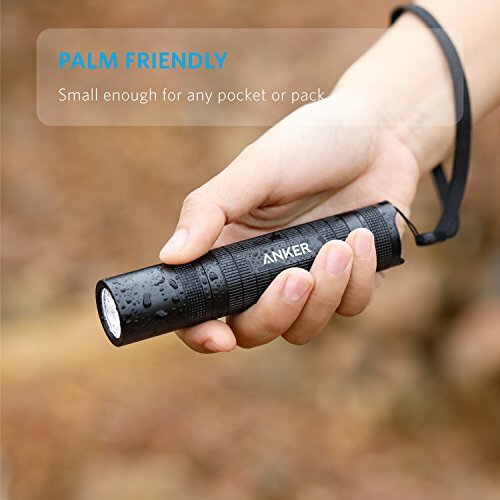 The Anker Bolder LC40 LED flashlight is a very bright light that uses CREE LED to produce a very powerful beam. The powerful beam covers a distance of up to 180 meters. The flashlight is powered by 3 AAA batteries which are cheap and easily available. The user has 3 light settings to select from and they are low, high, and strobe modes. Apart from being powered by AAA batteries, the flashlight can as well use one rechargeable 18650 battery. The AAA batteries provide a runtime of 4 hours while the rechargeable battery offers 6 hours runtime. In addition, the flashlight is rated as IP65 waterproof and it is also shock resistant. Its sturdy construction makes it be great for outdoor activities. Due to its size, this is a highly portable light that can easily be slipped into the pocket or purse when not in use. The lanyard can be used to wrap it around the hand. Maglite have some of the most reliable flashlights on the market. They are recognized for their durability, quality, and reliability. The Maglite mini LED flashlight is powered by 2 AAA batteries. Furthermore, it has a new MAG-LED technology that produces a maximum of 100 Lumens. This is an excellent flashlight for hunting, hiking, defense, fishing, cycling, backpacking, and for general use. The diamond-knurled body makes it easy to handle the light even in wet conditions. If dropped accidentally, it can survive impact of up to 1 meter. The Maglite AAA flashlight is durably made with lightweight aluminum and has weather-resistant seals to prevent water from entering the light. Also, its sleek and compact design makes it a great EDC light as it is not a burden to carry. Simply twist the head for spot or flood beam. The light turns off by itself requiring you to turn it on often. This is a bit disturbing. 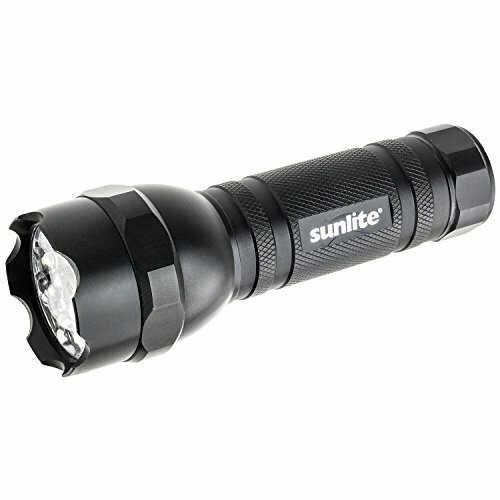 The Sunlite 51003 is one of the most sturdy and versatile flashlights on this list. It is powered by 3 AAA batteries. It has one of the latest LED bulbs with a lifespan of 110, 000 hours. So, you can be guaranteed that this flashlight will serve you for many years to come. It features an anti-roll body, 4 light modes, a textured grip, and an easy to use tail cap button. On top of that, the flashlight is durably made of aluminum, which is a lightweight and sturdy material. The 4 light modes are ten solid bright white LEDs, five bright green LEDs, a powerful laser that reaches up to 450 yards, and ten LED strobe light flash. Hence, this is a very versatile flashlight. In addition, it is water resistant and compact in design. This is an amazing flashlight for walking the dog, jogging, hiking, self-defense, or for shooting. It is vital to always have a flashlight with you. A flashlight should be part of your everyday carry items. But not just any flashlight will fit in this category of EDC lights. Also, choosing the best aaa flashlight isn’t easy. If you are afraid of carrying the bulky lights, then a small flashlight like the AAA LED light is a great option. These are usually small in size, lightweight, compact, and their batteries are easily available. When choosing a flashlight, ensure that it meets your demands and has the features that you desire in it. A great flashlight will deliver in all conditions and it should be able to provide you with light for over a long period of time. Hope our list above has been of great help to you. Question: Why use AAA batteries instead of other batteries? Answer: There are people who prefer other types of batteries because they offer a longer run time, are brighter, and are also lighter. But standard batteries like AAA are easy to find and usually cheaper. So, if you’re going to a remote area, there is a high chance that you will come across a standard battery than you will on any other type of battery. Question: Where should I keep my batteries and at what temperatures? Answer: It is recommended that you keep your AAA batteries in a cool and dry place. The area should not be humid, very wet or hot. As a matter of fact, a good number of battery manufacturers recommend keeping them around 24 degrees Celsius. Never store the batteries in a freezer or fridge. 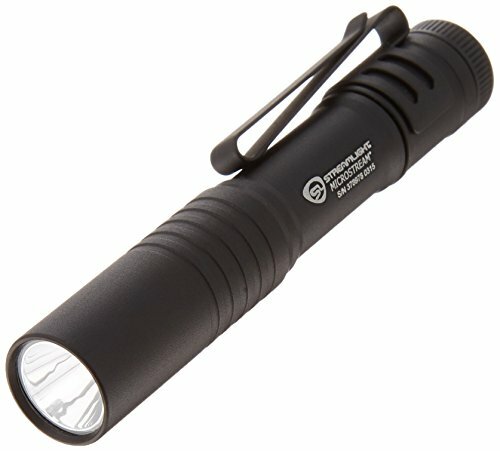 Question: Why do some flashlights come with batteries while some do not? Answer: This is a good question as some people normally wonder – why are batteries not included? Most manufacturers include batteries if the flashlight uses a rechargeable battery. But not all manufacturers do this. For disposable batteries, many manufacturers don’t include them in the purchase but still, indicate the type of batteries that you should use to power on the flashlight. Still, have a question after reading this best aaa flashlight review? Comment below.